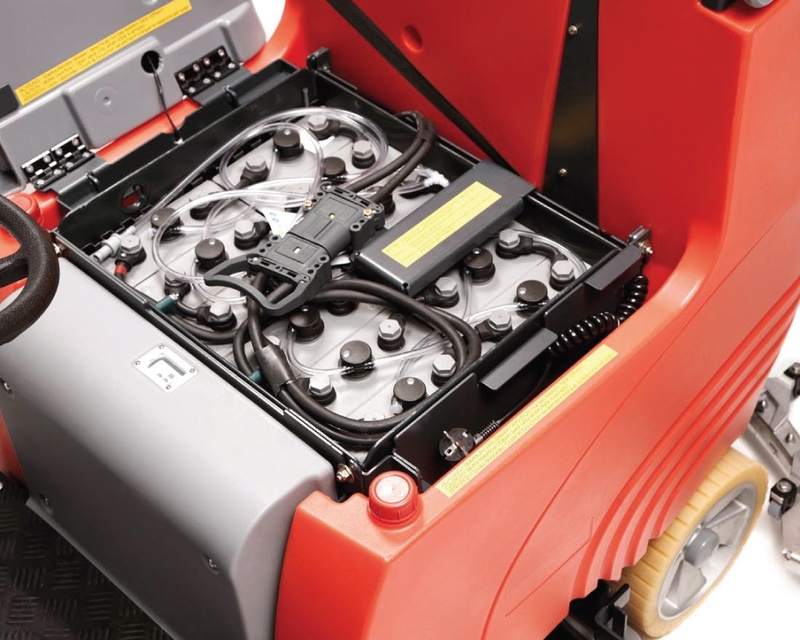 New features including the ‘boost’ function for heavily soiled areas and silent mode contribute to increased efficiency, reduced pollution and low-noise operation. 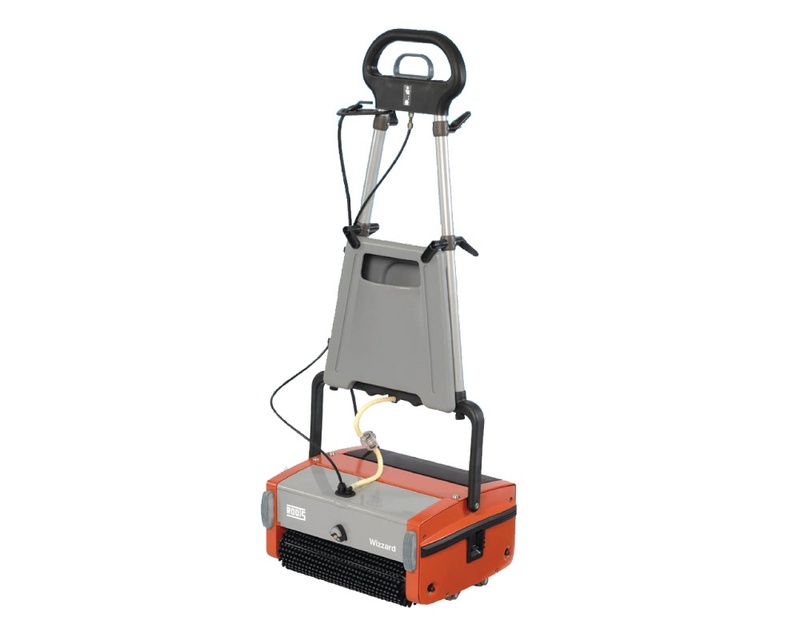 The B115 R is available in plate and cylindrical brush models, suitable to every floor cleaning application. 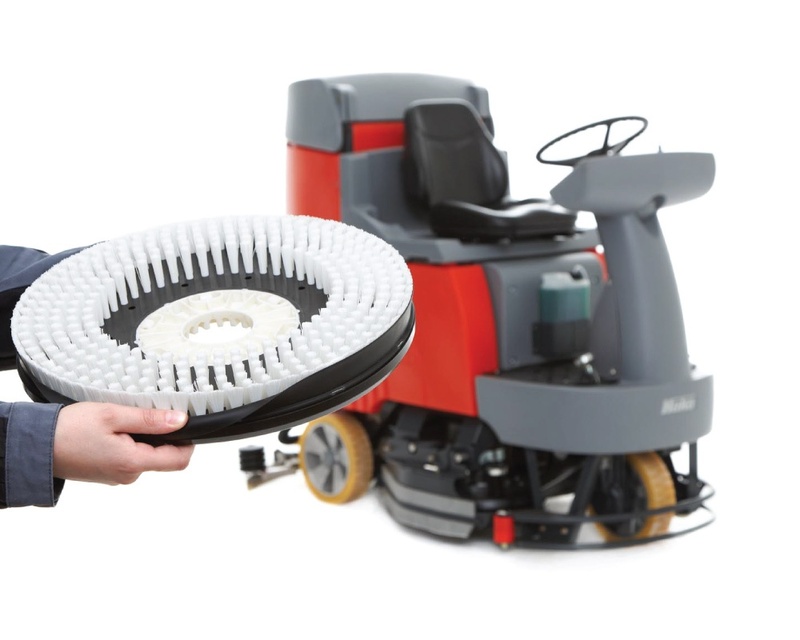 The Scrubmaster B115 R disc brush is available fitted with a 65, 75 or 90 cm wide disc brush unit, enabling an area coverage of up to 5,800 m²/h. brush pressure can be adjusted. The disc brush unit is equipped with Hako Aqua Control brushes which save both water and cleaning agent. All disc brush models are provided with a brush release mechanism which enables brushes to be changed quickly and easily. The Scrubmaster B115 R cylindrical brush is available fitted with a 70 or 85 cm wide cylindrical brush unit, enabling an area coverage of up to 5,500 m²/h. 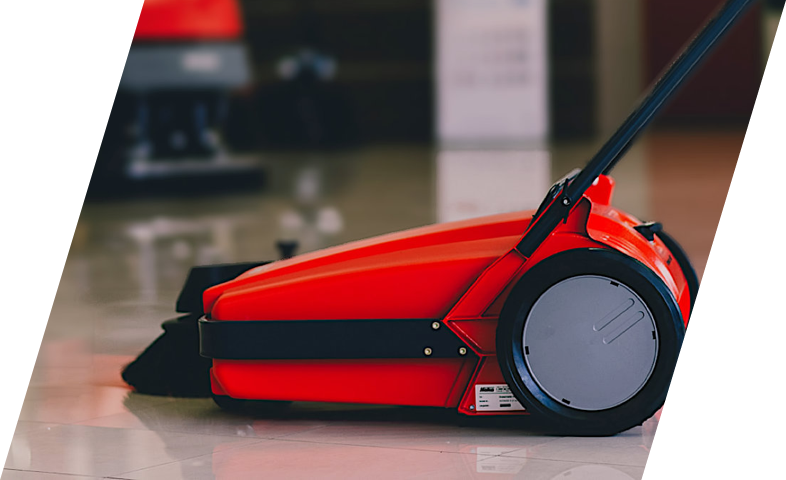 Cylindrical brushes are particularly suited for work on structured floors or tiled floors with joints, ensuring thorough cleaning and sweeping up of coarser debris. There are real savings to be had for your bottom line, just ask us how. Contact us today. 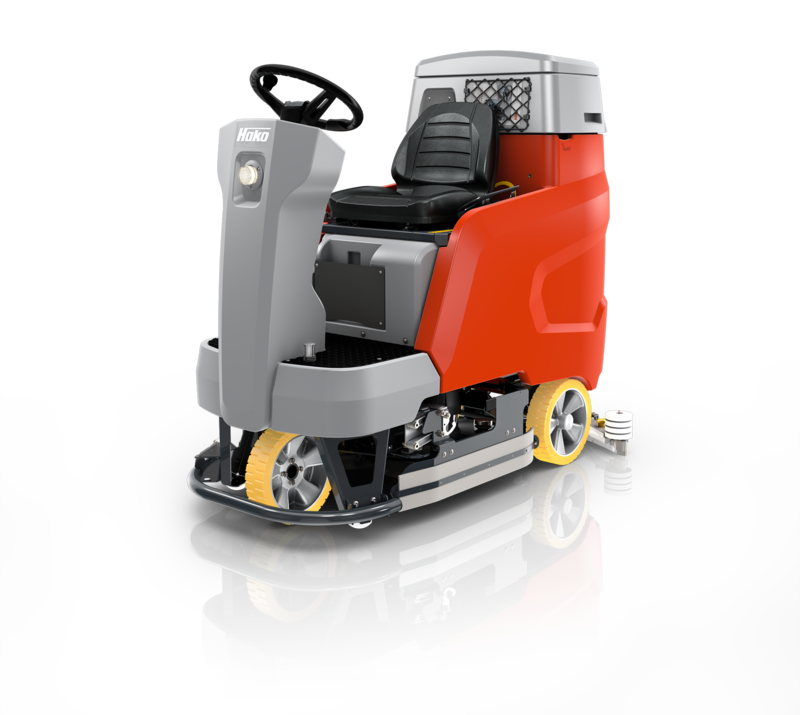 The most manoeuvrable scrubber-drier in its class. 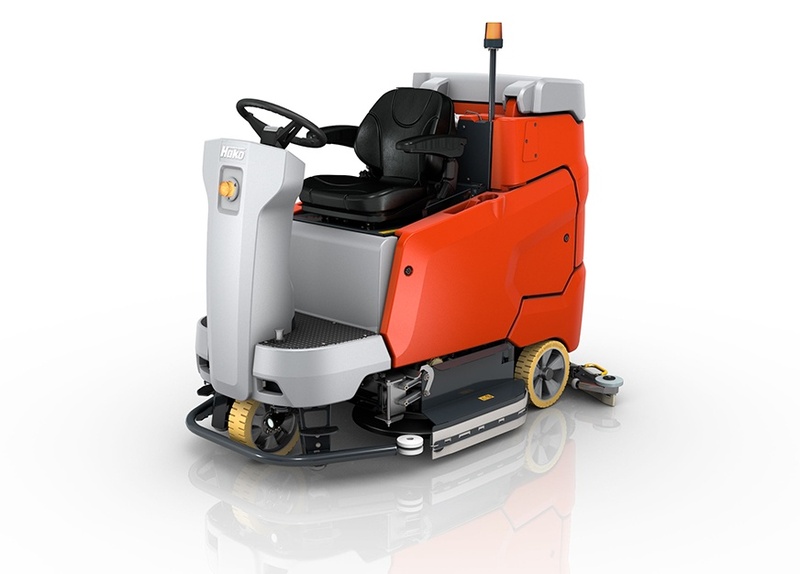 Hako extends its ride-on scrubber-drier range with the launch of Hakomatic B115 R.
Extremely economical scrubbing whilst comfortably seated. 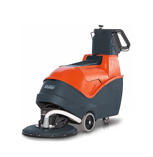 Up to 5,800m² cleanliness per hour. 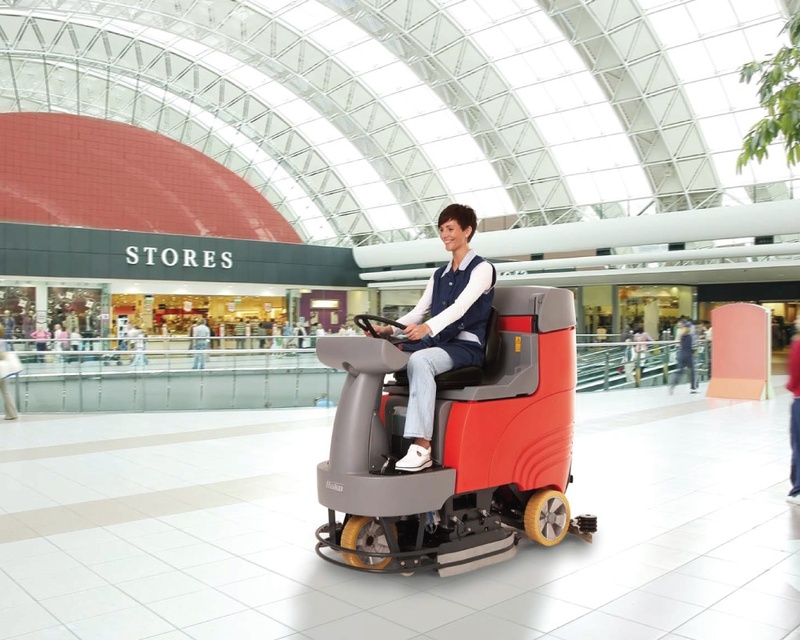 With a turning circle of just 169cm, the B115 R can turn in much narrower aisles than many other smaller, shorter machines. 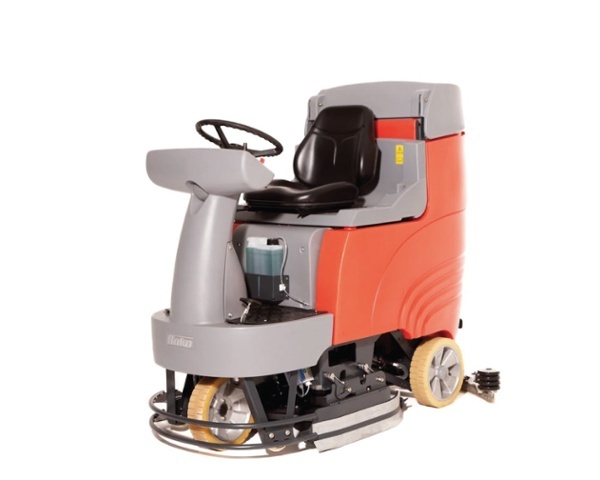 The excellent manoeuvrability of the B115 R is a result of the intelligent rear turning system with the special patented squeegee connection. 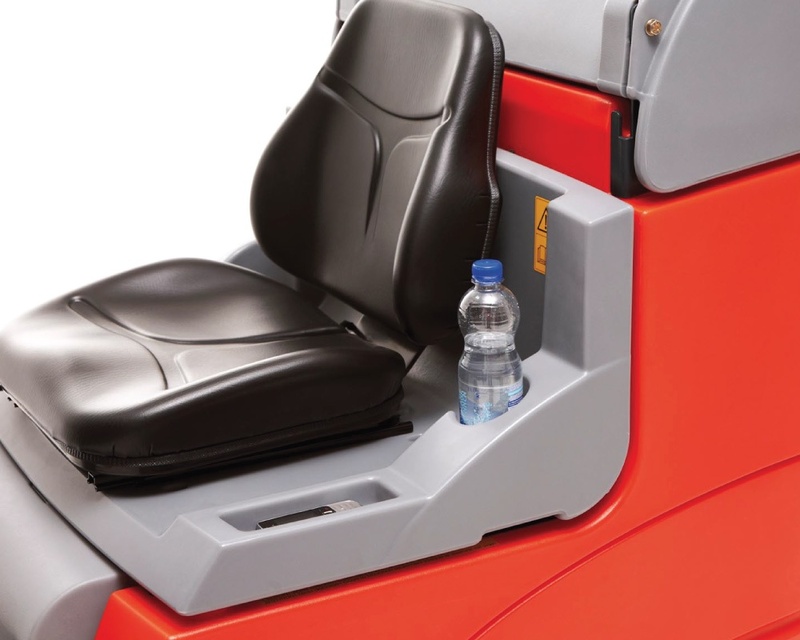 Due to its extreme manoeuvrability, the Scrubmaster B115 R can work in areas in which hand-operated machines would normally be used, thereby increasing productivity. This means that the extra investment in a ride-on vehicle soon pays dividends. The robust construction and high Hako quality levels reduce consequential costs and periods out of service, thus further increasing efficiency and availability. The large-volume tank-in-tank system enables long periods of operation and the large tank opening simplifies cleaning. At the same time, new features such as the Boost function, AC-drive technology and Silent mode contribute to increased efficiency, reduced pollution and low-noise operation.